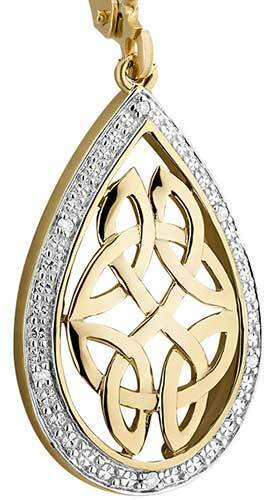 Celtic earrings including gold, silver and plated designs that are available with stud, hoop and drop fittings. 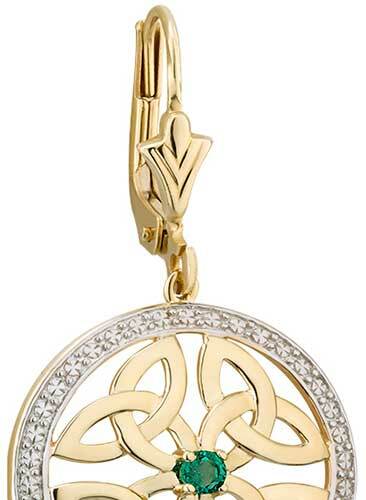 Feast your eyes, and your ears, on this incredible display of 200 pairs of Celtic earrings. 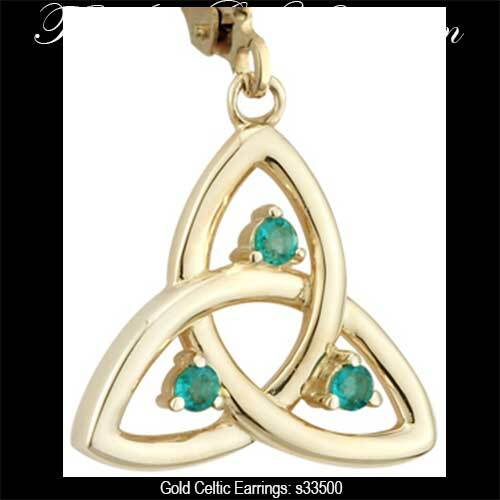 These Celtic earrings feature traditional unending Celtic motifs that range from classic designs to the more contemporary with added precious or semi precious stones that range from diamonds or emeralds to Connemara marble or crystals. 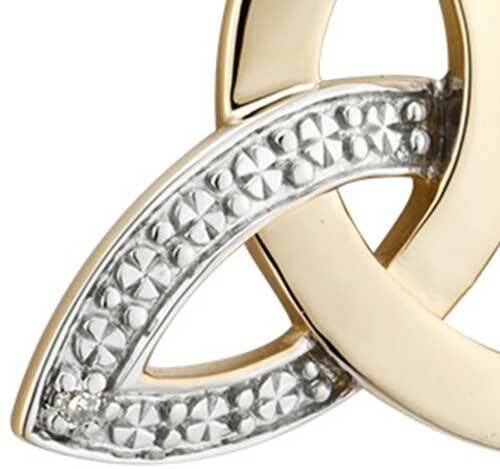 Choose from Celtic knot earrings with spirals or the Trinity and know that every pair is made in Ireland. 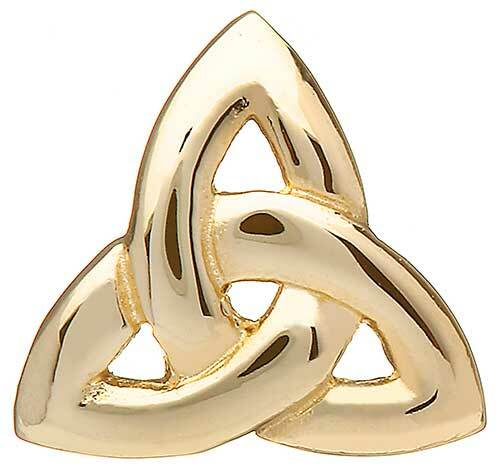 Celtic earrings are grouped by metal type in the above specific categories or you may scroll down to see all our selections in one place. 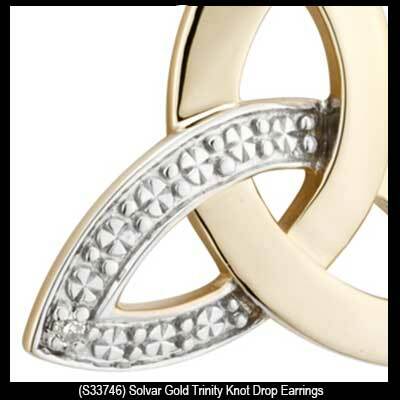 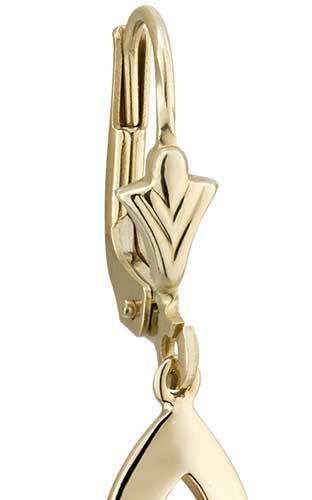 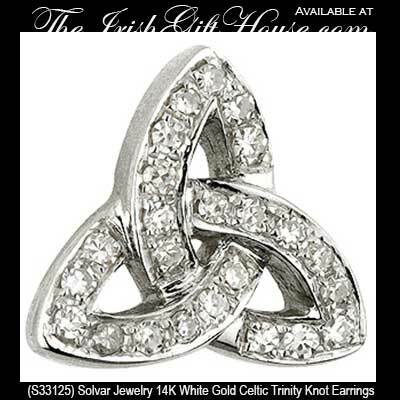 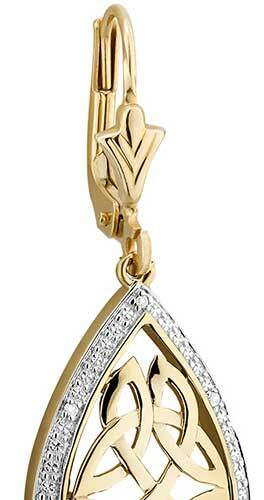 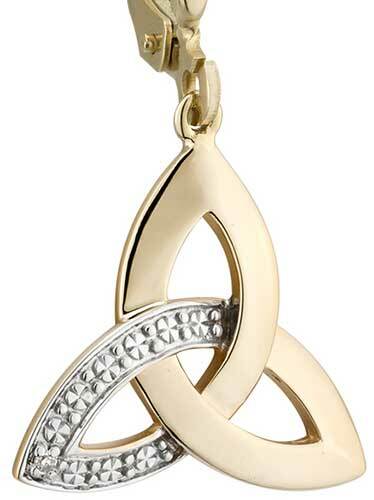 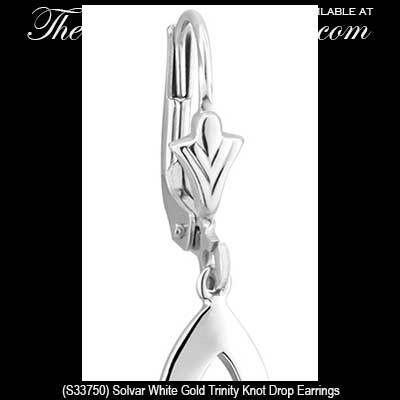 Dara knot earrings are a 10K Celtic design with diamond accented white gold borders. 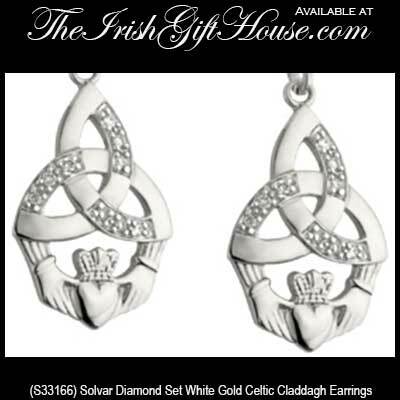 These Celtic earrings have been hallmarked 10K gold by the Irish Assay Office at Dublin Castle, Ireland. 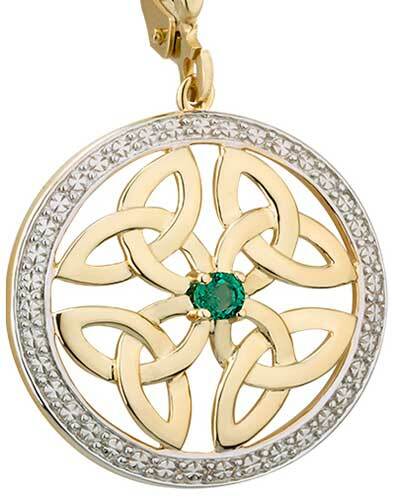 Celtic earrings feature a 14K gold design that is enhanced with an emerald in the centers along with engraved white gold borders. 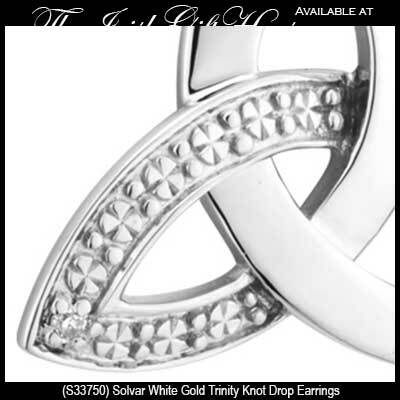 Trinity earrings are 10K Celtic studs that are enhanced with engraved white gold borders with diamond accenting. 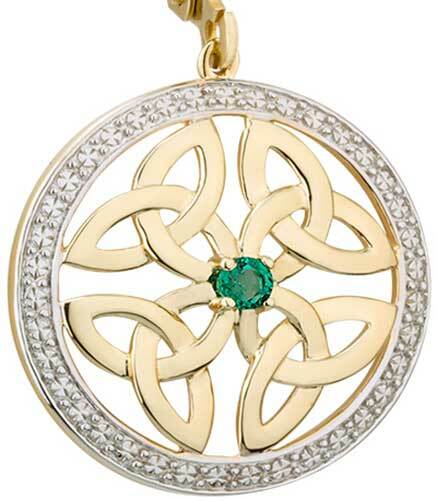 Celtic earrings feature a 10K gold design that is enhanced with an emerald in the centers along with engraved white gold borders. 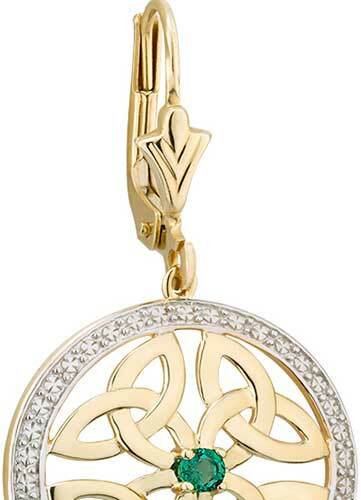 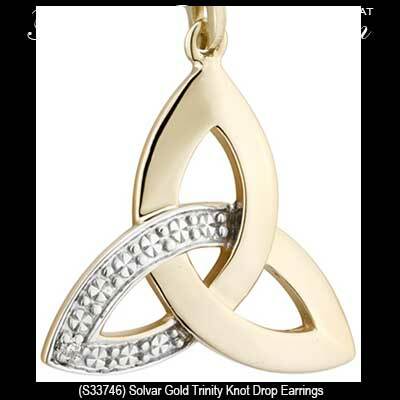 The Irish Gift House has silver Celtic earrings galore along with a grand selection of gold Celtic earrings that feature several pairs that are accented with diamonds. 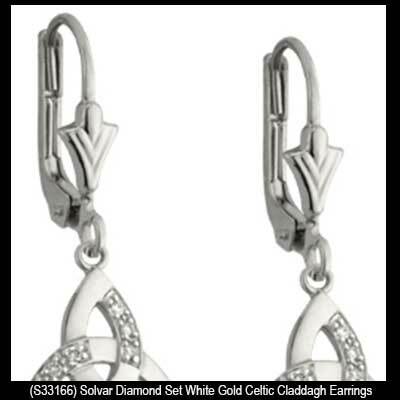 Please don't miss our section of plated Celtic earrings that we offer as stud and drop designs and you will see that many of these pairs are enhanced with CZ stones or crystals. 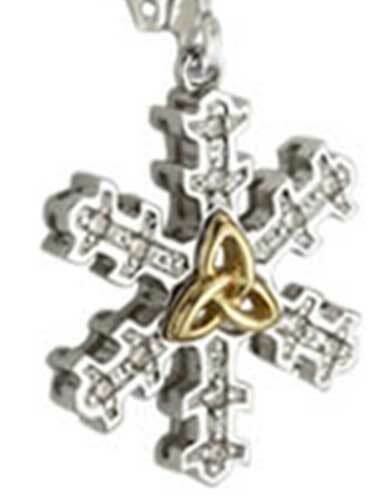 Complement your selection with anything from a silver Celtic necklace to a diamond Claddagh ring; you will find that all these selections at The Irish Gift House are all made in Ireland. 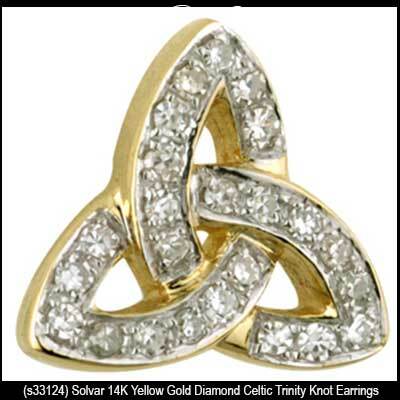 Additional considerations for completing your Irish ensemble are the silver Celtic cross necklaces or a Tree of life necklace; the majority of these pieces are enhanced with Trinity knots in their respective designs. 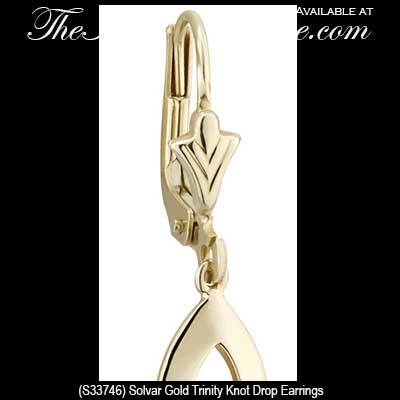 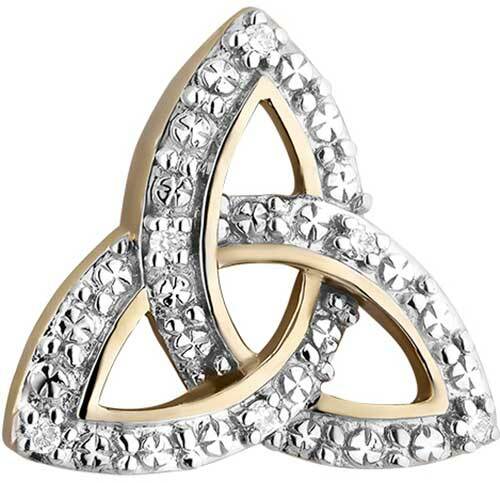 The Trinity knot is a classic design that can also be found on our Trinity knot wedding bands and on some of the silver Celtic wedding bands; regardless of these rings' moniker you are not required to wear them to signify marriage, you may were them on any finger you desire.